AMC/The Walking DeadNow that most of the big threats are gone from season 5 of ‘The Walking Dead,’ who’s the next big villain Rick (Andrew Lincoln) and the gang need to worry about? Warning: There are some spoilers ahead for season 5 and from the comic book. “The Walking Dead” fans may have been surprised this season when the new big villains this season, a group of cannibals, were quickly and brutally killed off in episode three. It seemed like we were in for the long haul (or at least a little while) with this storyline. The leader of the cannibals, Andrew J. West’s Gareth, seemed like the successor to the show’s previous popular villain, The Governor (David Morrissey). 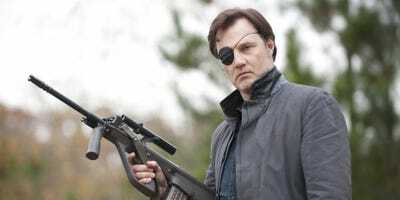 The Governor was on the series for two seasons. The cannibal crew lasted about a total of five episodes after heavily being teased over the course of season 4. Gene Page/AMCWhile the cannibals were around for a short time on ‘The Walking Dead,’ the series hasn’t seen a huge threat since The Governor (David Morrissey). Now that they’re gone, the group doesn’t have any main antagonist. Sure, Beth (Emily Kinney) was taken by a group of mysterious survivors, but they don’t seem like any real threat Rick (Andrew Lincoln) and his group of survivors can’t handle by the close of season 5. Gene Page/AMCThings aren’t looking that great for Beth right now, but we’re sure Daryl (Norman Reedus), Rick, and the gang will swoop in and save the day by season 5’s end. Any one who reads the comic knows there’s a huge fan favourite villain coming eventually to the series named Negan. Skybound / The Walking DeadEveryone wants to know when Negan will finally appear on ‘The Walking Dead,’ and who will play him on the series. If you thought the one-eyed, prison slaughtering Governor was awful, Negan’s at least 10 times worse. The character is the leader of a large group of survivors coined “The Saviors” made up of mostly violent men. Negan delivers his own brand of justice with the swing of a bat wrapped in barbed wire he calls Lucille. “The Walking Dead” creator Robert Kirkman confirmed to MTV News in April he’s coming eventually. The character isn’t the easiest to bring to life on screen. 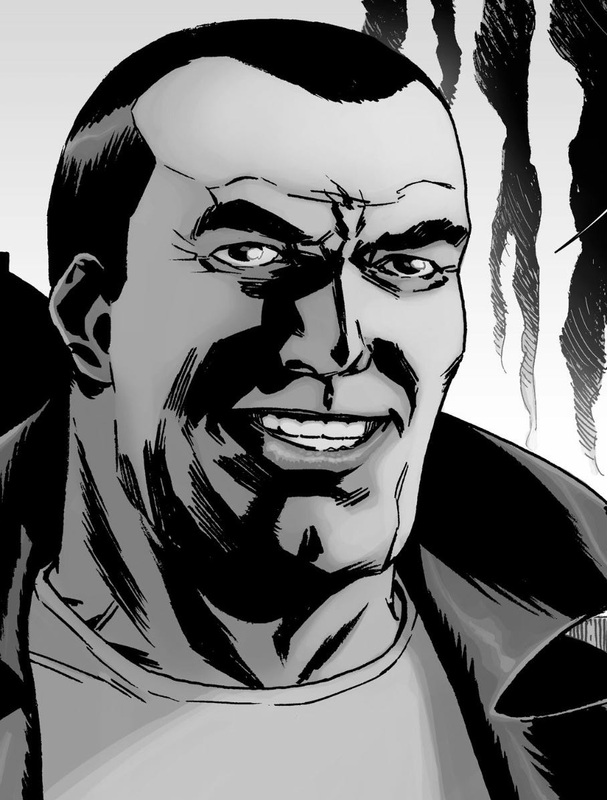 Negan is known for throwing around the “f-bomb” in nearly every panel of the comic. While at New York Comic Con last month, we caught up with “The Walking Dead” creator Robert Kirkman and asked him when we could expect to see Negan on the series and how the character would be adapted to screen. 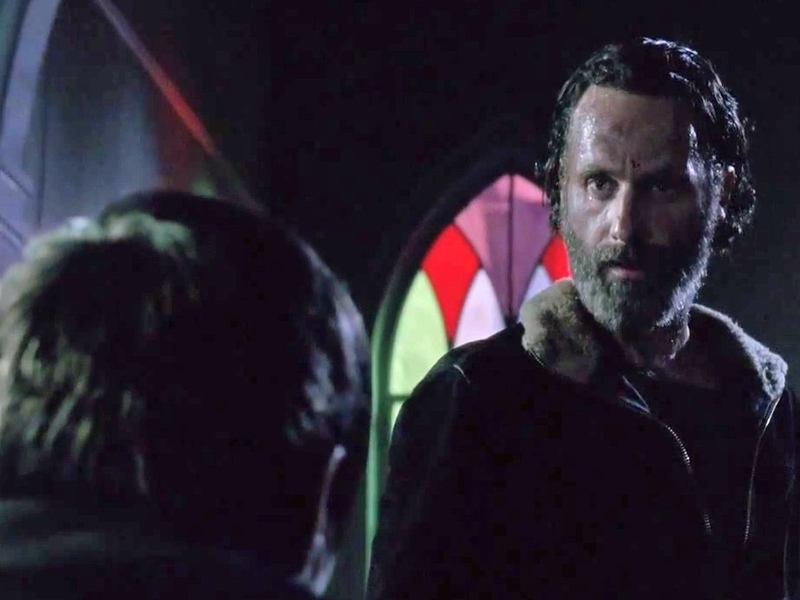 It doesn’t sound like we should be gearing up to see Negan in the rest of season 5. How do you adapt a character who appears virtually unadaptable? It’s not even clear Kirkman’s sure yet.